Having finished handknitting my last garment, I thought Blair's granny square sampler afghan would be the perfect next project. She posted directions for the first square yesterday and new directions will be posted each Friday. 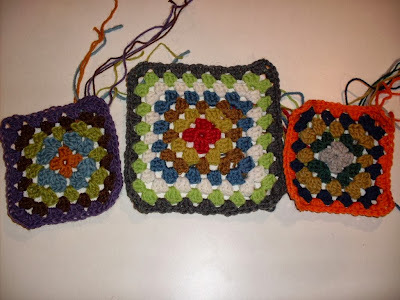 I don't do a lot of summer knitting, so working on different granny squares each week seems fun and manageable. 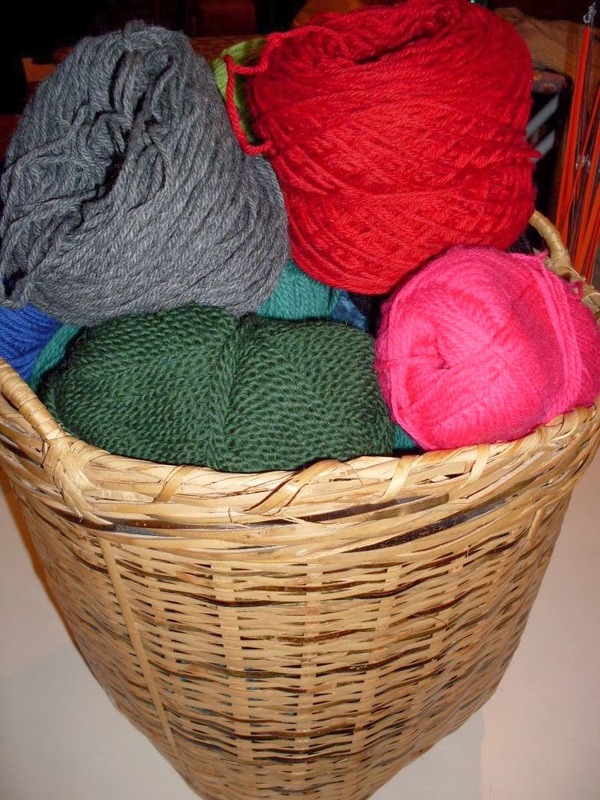 I get to use up odd bits of stash yarn and I also get to practice my crocheting, which I haven't done in several years since this project. I gathered all my stash yarns and now have a nice selection of worsted weight yarns available to use. Here are my first three squares. I love the randomness of the color selection and being able to just select what suits my at the moment. I look forward to seeing this finished project!